Great Z's: How Bad Is Your Anesthesia Residency? 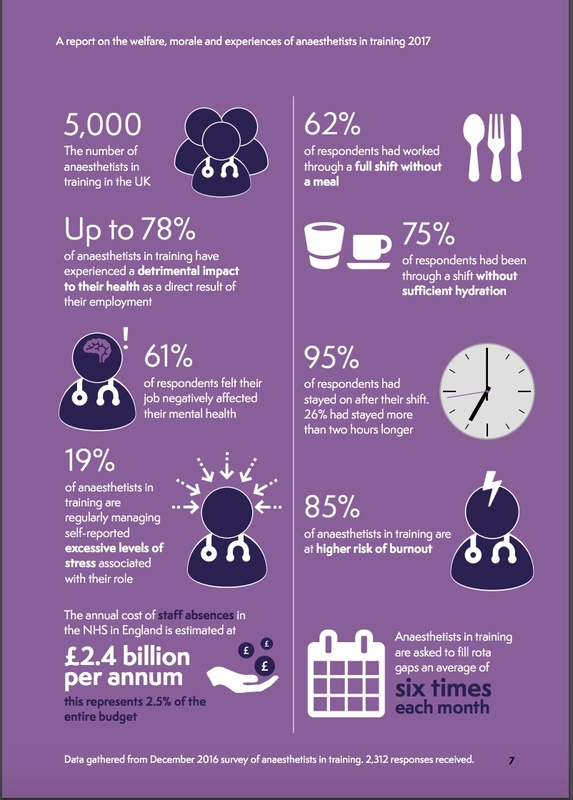 Over three fourths of British anesthesia residents say that their work has had a detrimental effect on their physical health. A majority also say it's had a negative effect on their well being and mental health too. That could be because almost two thirds have missed a meal while at work and three quarters run around feeling dehydrated all day. When they do finally have a chance to go home, over half of the residents have experienced a car accident or a near miss. A vast majority have felt so exhausted after a night call that they couldn't drive home. Maybe that's because only a third of them have call rooms to sleep in when they're at the hospital and only 18% get more than 30 minutes of rest at night. 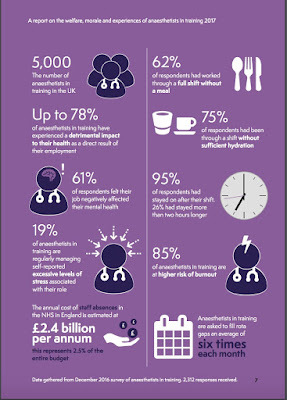 Consequently the Royal College of Anaesthetists fear up to 85% of their residents have a high risk for burnout. How does this compare to American residents? Medscape had a survey of residents on this side of the pond and the results are similar. While the Medscape poll is for all residents, not just anesthesia, they found that over 80% felt they didn't have enough time to maintain their health and well being and nearly half have depression some or almost all of the time. It doesn't look like there is much difference in attitudes in residents all over the world. Just remember that this is only a short temporary phase in one's career and you've got to keep your eyes on the prize. At the end of the road is one of the best jobs in America. I suppose #11 or anywhere in the top 20 is still better than most jobs out there. It's just not Google level good anymore.